Be different. Be unique. Buy a natural color diamond. 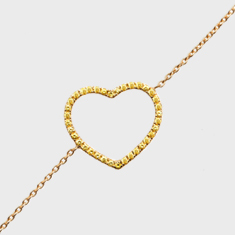 There is a color diamond matching each personality and taste, whether you are a woman or a man. 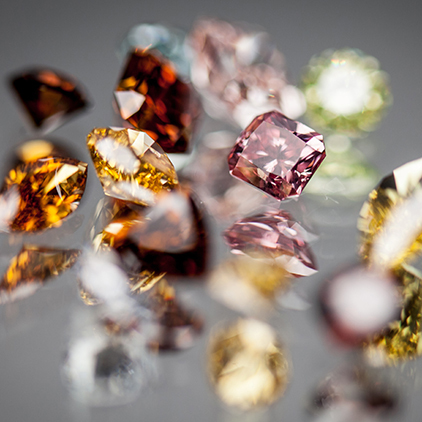 Unlike white diamonds, natural color diamonds exist in over 300 colors and countless numbers of hues and nuances. Polished, they come in numerous shapes, but some rough natural color diamonds are also just perfect when set in a jewel in their natural shape. Each natural color diamond is unique, just like you. 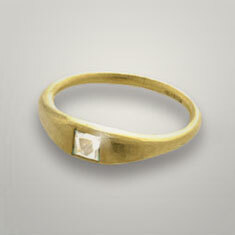 It's the ‘it’ Diamond: Hollywood stars and royal figures rather wear natural color diamonds than white diamonds. Carla Bruni-Sarkozy, Victoria Beckham and Portia de Rossi all wear pink diamond rings, as well as the very hype Ecclestone daughters. 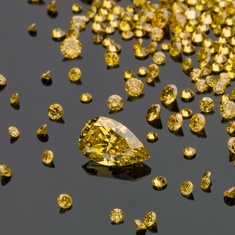 Over the last few seasons, natural color diamonds with colors such as chocolate, yellow and black have made their way into the Haute Couture jewelry collections, in fashion houses such as Louis Vuitton, Dior and Alexander McQueen. And recently, Jessica Simpson and Cate Blanchett have been seen on the Red Carpet wearing champagne diamond jewels. There is a color diamond for every budget. 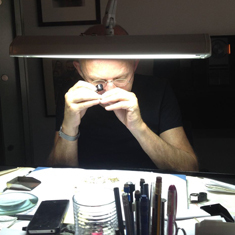 At Langerman Diamonds, we can supply single diamonds from just $150 and upwards. 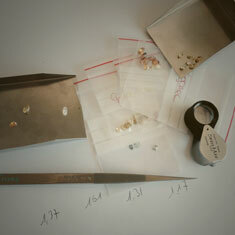 The price of natural color diamonds depends on several factors : the hue, the saturation, the clarity. It’s a collector’s item. 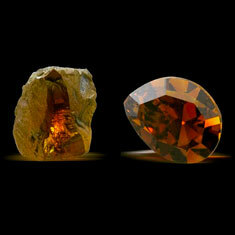 The resources in extremely fine, intense or vivid color diamonds are becoming very limited. The only mine that produced pure blue diamonds has dried up and Argyle, the Australian mine producing 90% of the world’s pink diamonds, plans to end production in 2021. Red and green diamonds, by nature the two rarest colors, have always been highly sought-after collector’s items. 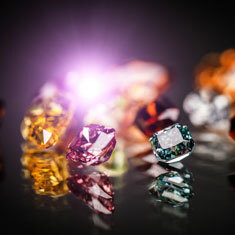 Natural color diamonds also come in unexpected colors, some of them change color like chameleons, and some come as bicolor diamonds with two colors in the same stone. This, and the fact that each natural color diamond is a one of a kind miracle of nature, makes them perfect for collectors. 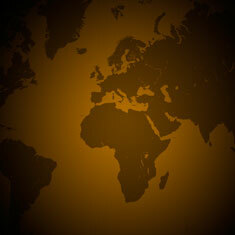 It is a mid- to long- term investment: for more than 20 years, the value of natural color diamonds has only gone up. As an example, the value of pink diamonds from Argyle has increased over a hundred times since 25 years. 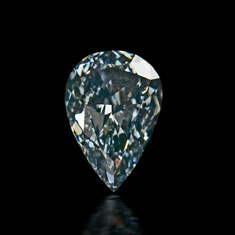 In October 2011, Sotheby’s sold a 6.01 carats vivid blue diamond for a record-breaking $10.1 million. In December 2009, Christie’s Hong Kong sold a 5 carat Vivid Pink diamond for $10.7 million. It achieved the highest price ever for any pink diamond at auction, and, at $2.1 million per carat, the highest price per carat for any gemstone. In November 2011, a proof came that new colors are making their way into the record books, as a 10.67 carat Silvermist gray diamond estimated at $120,000-$200,000, sold for a record-breaking 1.19 million dollars, over $100,000 per carat.